Consumer products cause millions of serious injuries every year in the U.S. Products that most people use on a regular basis, including exercise equipment, chairs, sofas, beds, mattresses, and pillows caused a staggering 2 million injuries in 2017, many of which were serious enough to warrant a trip to the emergency room. A lot of these reported injuries occurred as a result of dangerous product defects, which are mistakes made during the design or production stages of the product’s development. If a product is defective, the manufacturer is responsible for recalling it as soon as possible to prevent consumer injuries. Implementing and managing a product recall is not easy—even for seasoned manufacturers with household names. Fortunately, trusted e-waste recyclers such as ERI can help manufacturers with this process. During a product recall, consumers that have purchased a specific defective product are encouraged to send it back to the manufacturers in exchange for a refund. If the product was a top seller prior to the recall, the manufacturer could end up with tens of thousands of returned products. All of these products contain dangerous defects, so they cannot be resold to other consumers. What is a manufacturer supposed to do with these potentially dangerous and unsellable products? If the products are electronic devices, it’s best for the manufacturer to partner with ERI for the duration of the recall. ERI can safely destroy the defective electronic devices in an eco-friendly manner. More importantly, ERI will completely erase the data stored on these devices so your customers’ personal information does not fall into the wrong hands. How does it work? First, the devices are sent to one of our facilities located throughout the country. Our facilities are guarded by security personnel and authorized employees must pass through metal detectors to access secure areas with their key cards. These physical security measures ensure that no one has access to your recalled devices—or the data stored on them—but us. Once the devices arrive at ERI’s facility, the data will be destroyed in accordance with NIST 800-88 REV1 standards. After this process is complete, it is impossible to recreate or read the data on the device. Manufacturers are welcome to watch a live video feed of the data destruction so they can verify that it happened. ERI also sends manufacturers certificates of destruction that confirm the devices have been destroyed. After the data has been destroyed, the devices are sent to the next stage in the recycling process. Certain parts of the device may need to be removed by hand, such as batteries or ink cartridges. Then, the rest of the device is sent through our electronic shredder, which crushes electronic devices and breaks them down into small pieces. A team of employees at our facility will then separate the smaller pieces by material. Some of the materials found in electronic devices, such as gold and copper, can be resold. We will analyze the market and identify the materials that are in demand before reselling them for a fair and reasonable price. Manufacturers that fail to partner with a trusted e-waste recycler to handle electronic product recalls are putting themselves in danger of a breach. 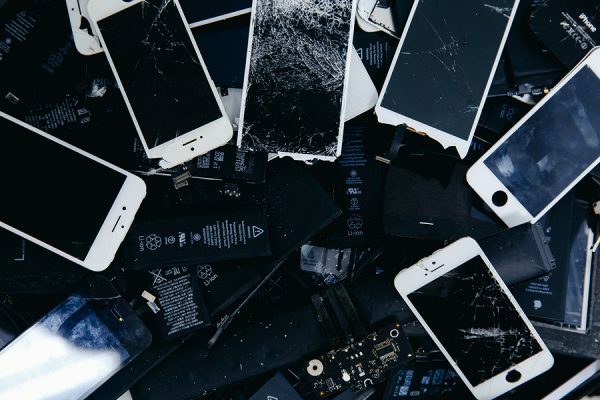 The electronic devices that are sent back to the manufacturer contain personal customer information that must be destroyed as soon as possible. If a manufacturer fails to work with an e-waste recycler, they may also fail to properly destroy the data on these devices. Product recalls can generate a lot of bad publicity for your company, so the last thing you need at a time like this is a data breach that exposes your customers’ personal information and infuriates them even more. Manufacturers that have never dealt with a product recall may not know how to get rid of the thousands products that are sent back to them. Instead of letting these products sit around and collect dust, pass them off to an e-waste recycler who can dispose of them in an environmentally friendly manner. 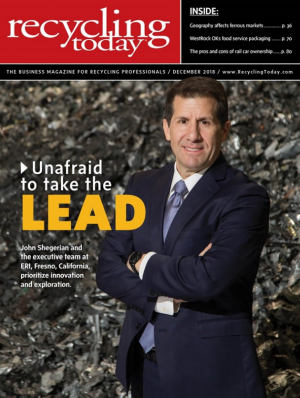 Partnering with an e-waste recycler saves manufacturers the trouble of having to figure out what to do with the thousands of products on their own. Manufacturers also benefit from ERI’s remarketing process, which sets us apart from other e-waste recyclers. Product recalls can cost manufacturers millions of dollars in revenue. Selling the valuable materials found in electronic devices will not make up for a loss of this size, but it can generate a bit of revenue for manufacturers that are temporarily in the red. This is especially important for small manufacturers that may not have the cash flow to fund operations after a massive product recall. There’s one more benefit to partnering with an e-waste recycler for a product recall. Since the e-waste recycler will handle the data destruction and disposal of electronic devices, the manufacturer does not need to waste their resources on these time-consuming tasks. Instead, the manufacturer can focus solely on communicating with customers and bouncing back after a product recall. For these reasons, a trustworthy e-waste recycler is an invaluable asset to manufacturers that are currently dealing with a product recall. ERI is the leading e-waste recycler in the U.S., so we have the resources to handle large scale product recalls. ERI has electronic recycling facilities in California, North Carolina, Washington, Colorado, Indiana, Massachusetts, and Texas. Every year, our facilities process over 250 million pounds of electronic waste for clients in a variety of different industries. For more information on how we can assist during product recalls, or to request a quote from ERI, contact us today.